The world’s best longboarders try to ride a wave as long as possible at Wategos Beach, NSW. A short film by McTavish Surfboards. Cinematography by Nathan Oldfield and Andrew Gough. Water Cinematography – Andrew Gough. Southern California has a new senior citizen employment program. 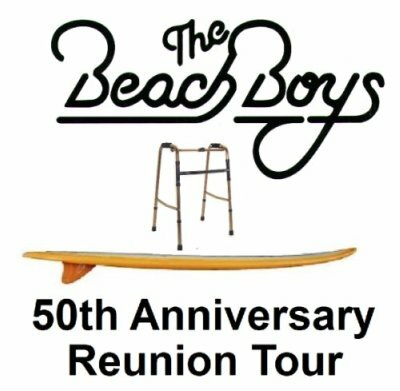 The Beach Boys will embark on a 50-date 50th Anniversary Reunion Tour starting in February in support of “Celebration,” their new album. Group frontman Brian Wilson will turn 70 during the tour. 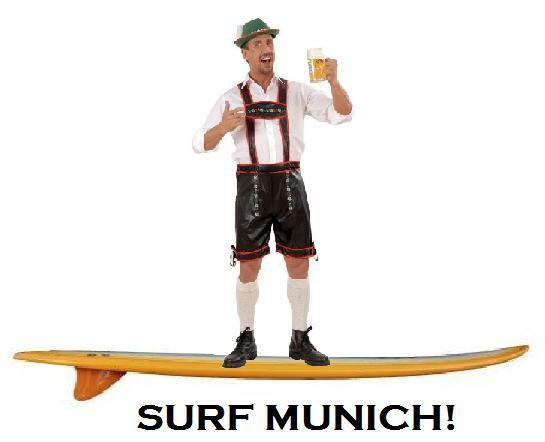 Germany has an active surfing scene, and its capital is Munich. That’s pretty amazing, since the Bavarian city is nowhere near the ocean. Wet-suited enthusiasts surf a well-formed wave in the Eisbach River in Englischer Gartens park. Munich has a surf festival, a surfing magazine, a surfer bar, and a surfboard company (be sure to get the right fin for riversurfing). Spectators at Saturday’s Mavericks Surf Contest in California came out to see big waves, and they got them — up close and personal. 50-foot waves crushed the awards ceremony stand, swamped the sound system, and sent a dozen spectators to the hospital. 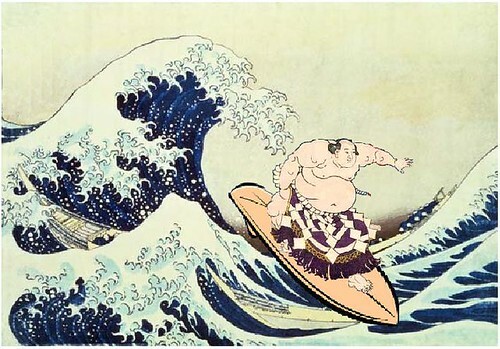 Surf’s up, dudes. South African Chris Bertish won the “Super Bowl of Surfing” and the $50,000 prize. College students: Spring Break is a good time for reflection, especially in the hours after your hangover lifts but before your parents wire your bail money. Take this moment to reconsider your life goals. The economy is at low tide, and who knows what jobs (if any) will be available when you graduate? Fight despair and follow your waves of passion. 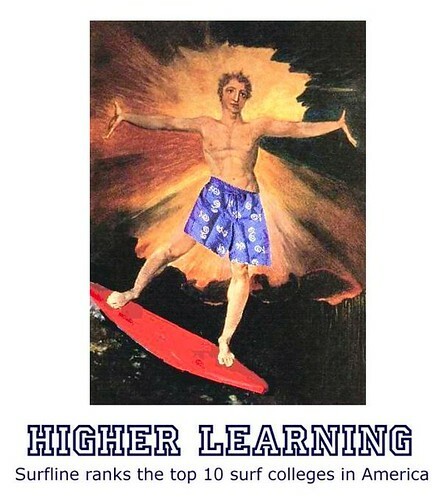 Declare a new major: surfing. Giving fresh meaning to the phrase “college boards.” the folks at Surfline have hit the beach with a list of the ten best colleges for surfers.